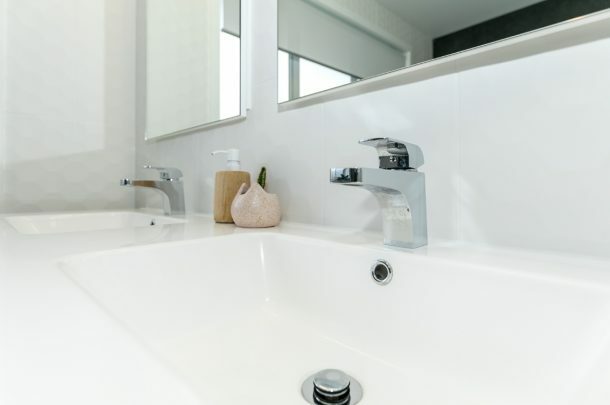 When you’re looking for the perfect bathroom renovation, we believe every detail is important. There are a multitude of decisions to make regarding the style, colours, fittings, finishes, lighting and accessories, and we want to help you make your bathroom a place that reflects your personal taste and makes you feel good. 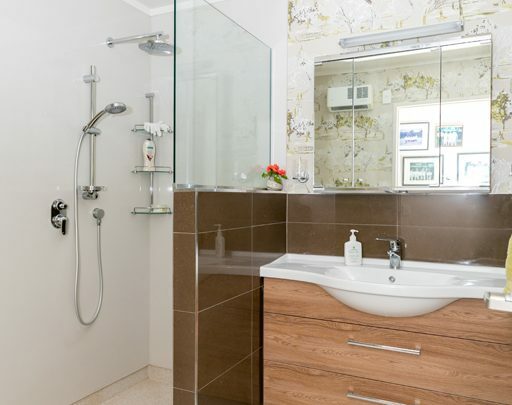 Take a browse through some examples of our work and be inspired as you look forward to transforming your bathroom. 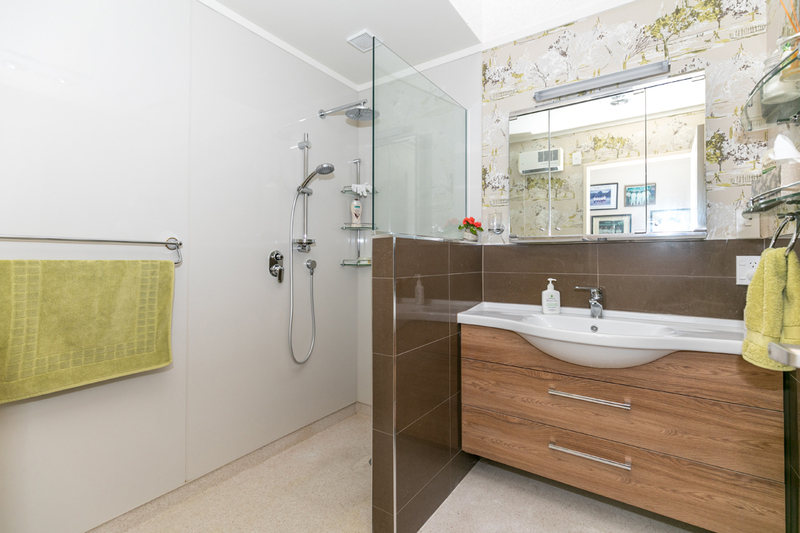 The interior designer owner of this bathroom was thrilled with our work delivering her vision for her own home. Note the farm-style batons added to the ceiling. The half-wall tiles wrap right around the room and include a fully inset bath. 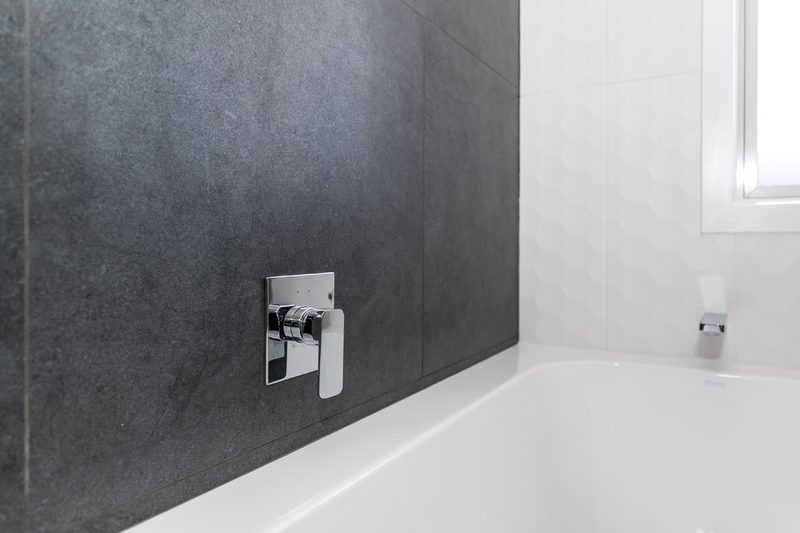 A feature which might not be immediately obvious is that the bath tiles have mitred edges. 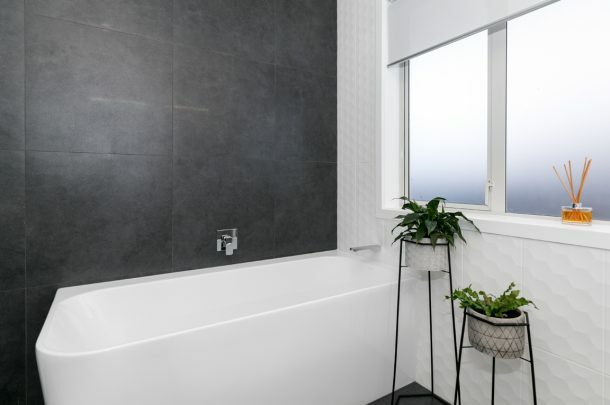 A mitred edge allows the two edges of the tile to fit together with a high-end, seamless look, to enjoy the full view of the tiles without a metal strip hiding the edges. 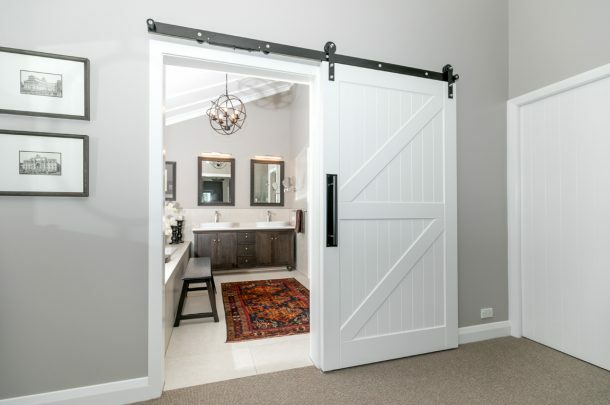 The shower was custom-made, as was the farmhouse door and the French Oak vanity. We added underfloor heating for extra comfort. 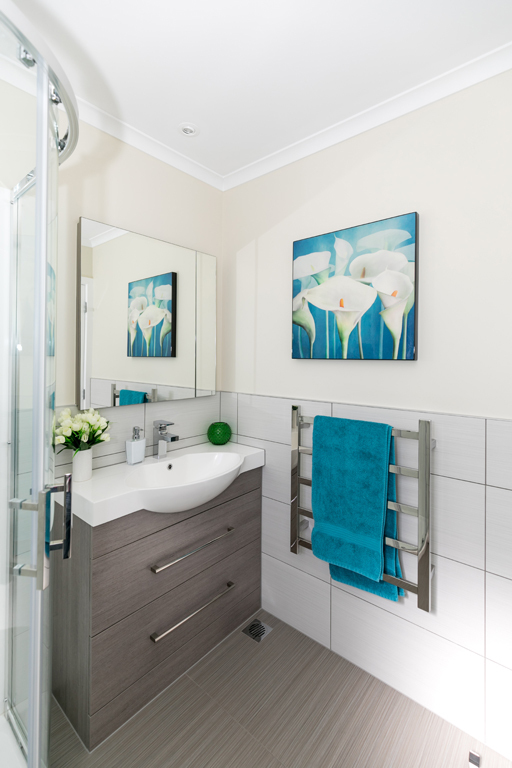 The ladder towel rail looks simple but required some extra thought, as the bottom feet are on tiles and the top feet are on the painted wall. We had the towel rail custom-made to fit the difference between the thickness of the tiles and the wall. 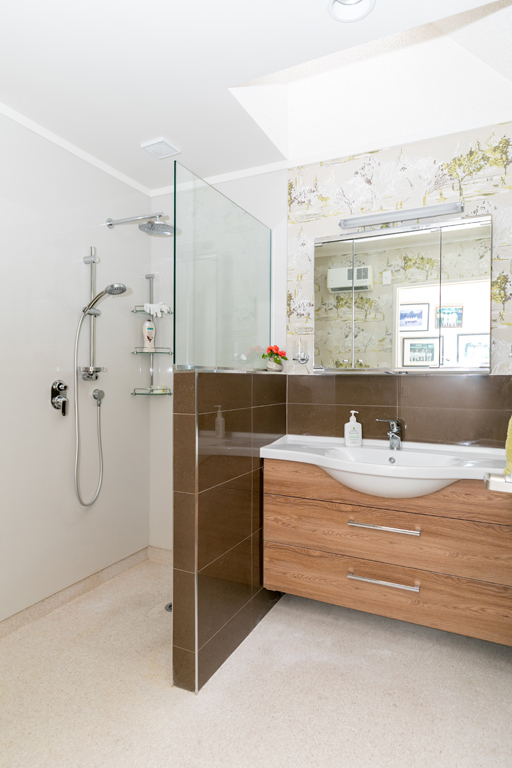 Delivering solutions to tricky bathroom renovation situations is our specialty. This is a top-end bathroom with a twist. The bathroom is fully tiled – floor to ceiling. 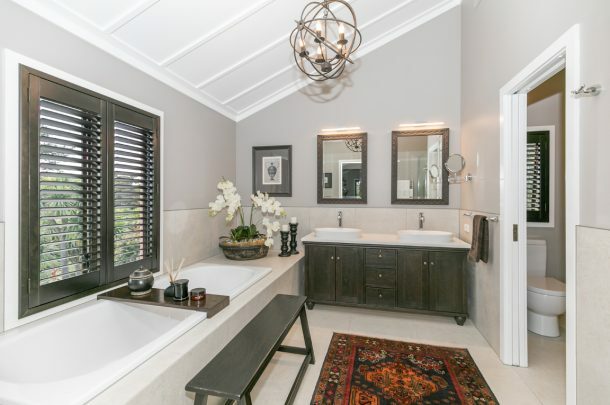 The owners mixed and matched their tiles. On one wall, the floor tile continues all the way to the ceiling and the other three walls are hexagon patterns on a rectangular shaped tile. Instead of opting for a level-entry tile shower, they preferred tiled walls but didn’t want tiles on the shower floor. So we used an acrylic shower tray with tiled walls and a recessed niche. 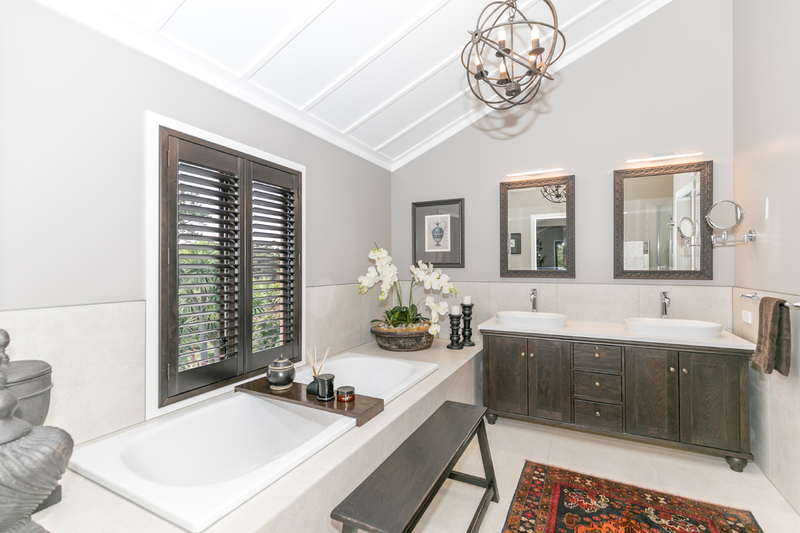 This bathroom boasts a large, double-bowl vanity, with recessed cabinets over each bowl. The freestanding bath is a pleasant feature. After all, who doesn’t a love a good soak! This is an example of a bathroom designed for an older person, with a vision of future-proofing. 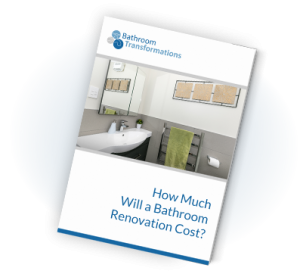 With the life of a bathroom being around 20 years & the ageing Kiwi population, it pays to think ahead. Someone might need to help you shower in the future but for now you can stand in there and have your own shower. 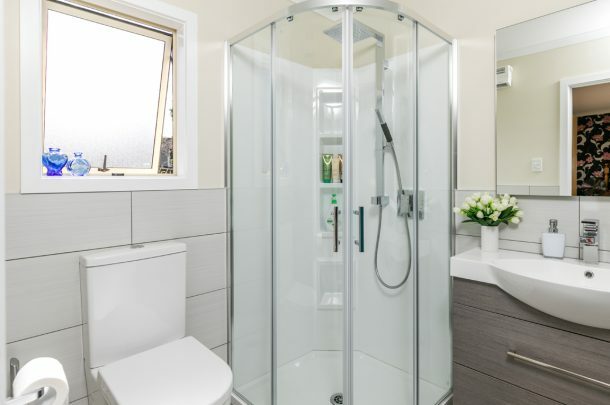 Having no shower door, it’s a level-entry wet room, allowing for wheelchair access if needed & somewhere to sit in the form of the flip-down shower seat attached to the wall. 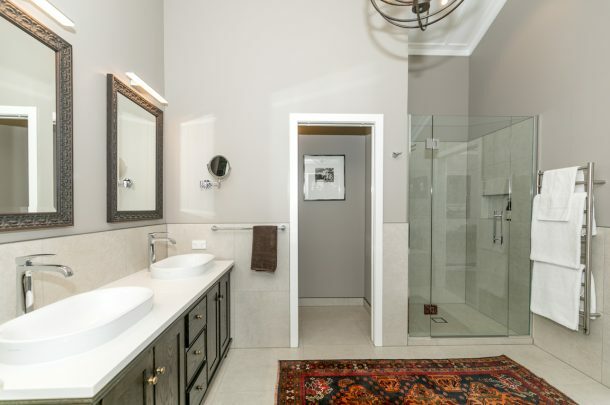 The bathroom had an existing skylight so instead of building a full-height solid shower alcove, we tiled the lower half of the wall and installed a glass wall on top to let in the natural light. 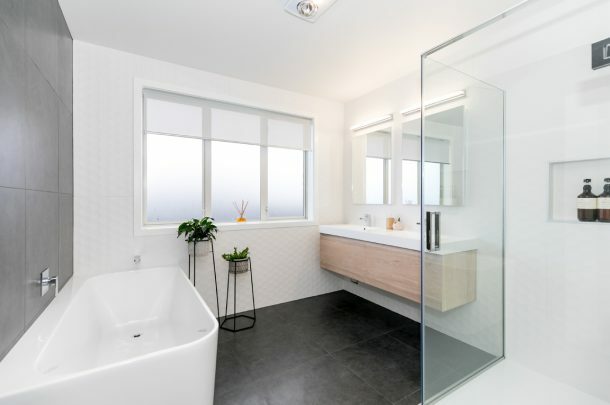 This easy-access bathroom features a non-slip, coved vinyl floor for safety and ease of cleaning. 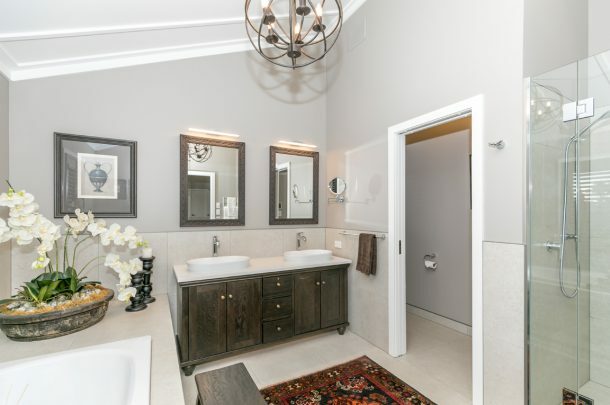 This is a small bathroom in a townhouse. 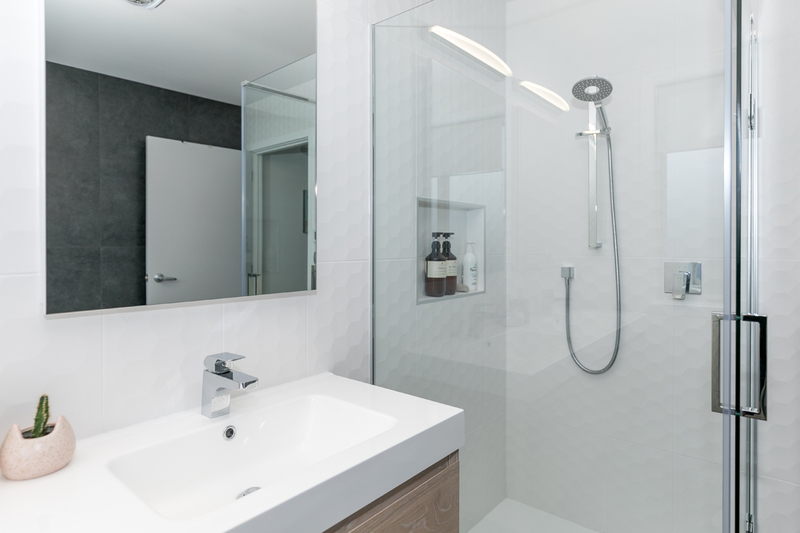 Our client chose a modern, low-line acrylic shower, with a minimal step, unlike older acrylic showers that have a chunkier step. An acrylic shower isn’t as expensive as a level-entry tiled shower but it’s still nice and a lot more economical. Our client chose a monsoon showerhead on a slide rail, which lets the water come down like rain. 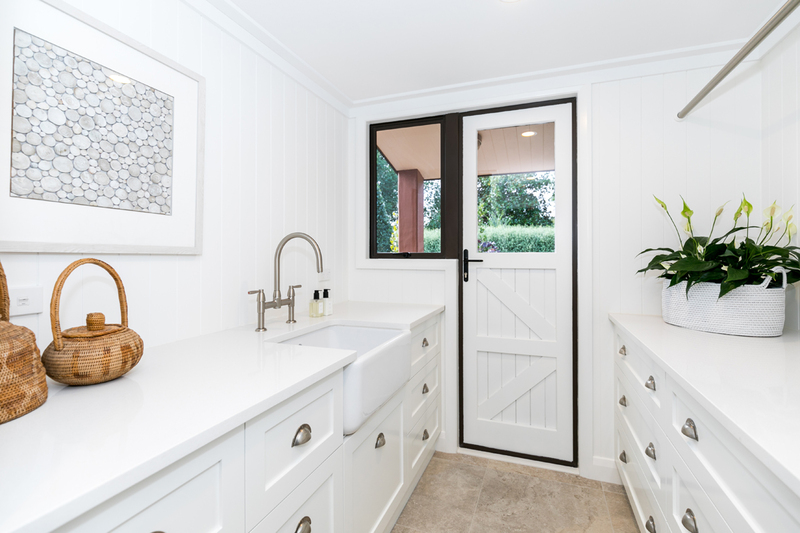 Features of this bathroom include a back-to-wall toilet, half-wall tiling up to window height, which wraps around and doubles as the splash-back for the vanity. 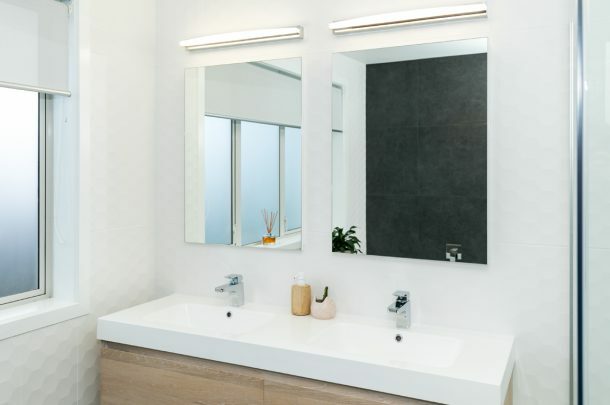 A recessed cabinet on the wall, fitting directly onto the tiles, means there’s no paint gap between the tiles and the mirror. The heated towel rail and wall heater are wired in to the main switch. 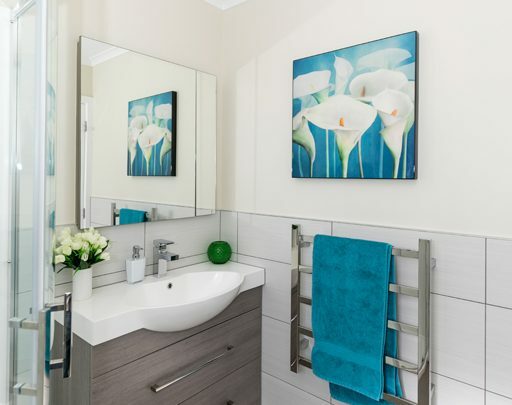 This is a great example of a small bathroom that worked well. 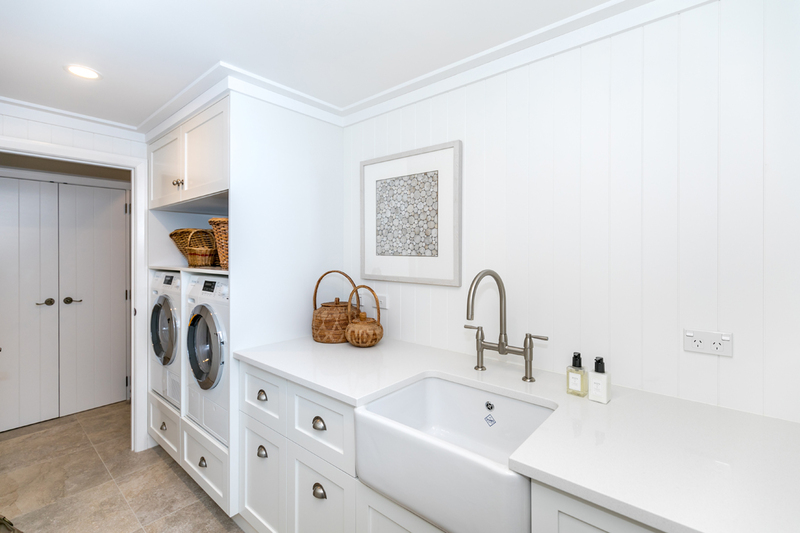 We might be called Bathroom Transformations but it’s an easy step to the laundry. 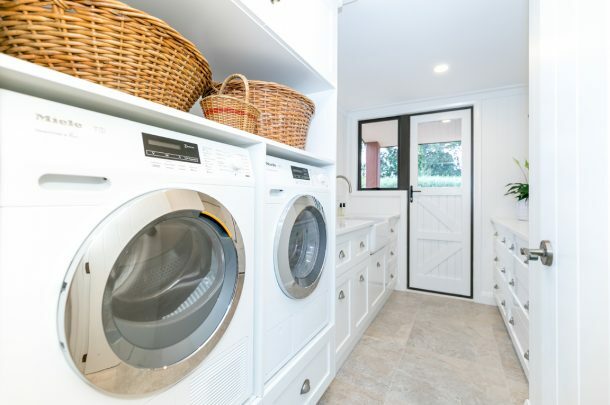 This laundry features tiled floors. The machines are integrated with the cabinets, which is a nice idea as it gets the machines up off the deck. Added extras include top-end taps, a butler’s sink and stone top. 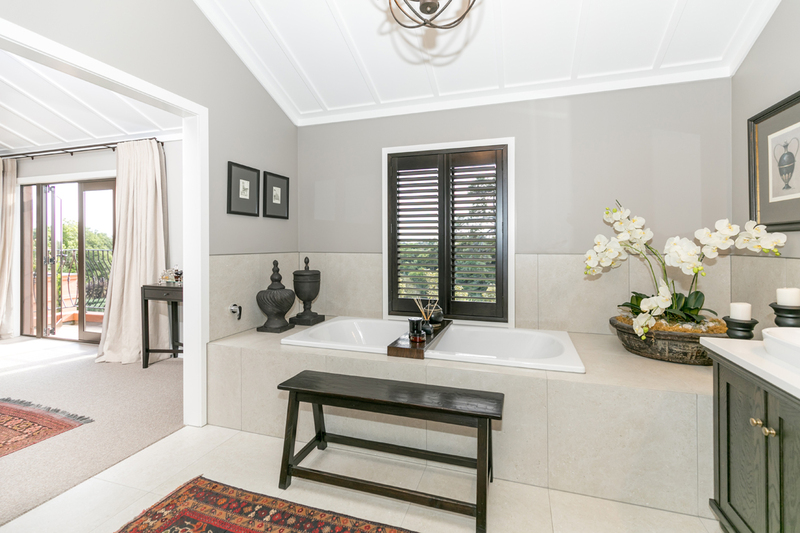 “We recently had Bathroom Transformations completely renovate our ensuite, followed by our main bathroom and toilet. The workmanship and build quality was excellent, and we couldn’t be happier with the end results. Arran made the whole process stress-free and effortless, from helping with the designs, finalising the fixtures, keeping everything to schedule, and minimising disruptions to the family during construction.